Harris Sankey, 80, of Chandler, MN died on Thursday, October 27, 2016 at the Sanford USD Medical Center in Sioux Falls, SD. A Celebration of his life will be held at the Chandler Christian Reformed Church on Wednesday, November 2, at 11:00 am. Visitation will be from 5:00 – 7:00 on Tuesday, November 1 at the Chandler Funeral Home, and will continue from 8:30 - 9:00 at the Funeral Home, with burial taking place at 9:00 am prior to the service at the Chandler Memorial Cemetery. Harris Eugene Sankey was born on September 26, 1936 to David and Jennie (Van Eck) Sankey at his home near Chandler, Minnesota. He was baptized and confirmed at the Chandler Christian Reformed Church, graduated from Chandler High School, and attended one year at Northwestern College in Orange City, Iowa. Harris was united in marriage to Geri Addink on July 14, 1961, at the Worthington Christian Reformed Church, Worthington, Minnesota. They made their home on a farm near Chandler where Harris was a lifelong farmer. Farming was his passion and what he loved to do. 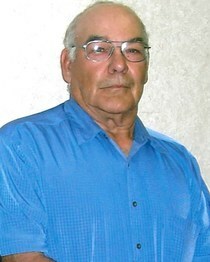 He was mainly a hog farmer, but loved his beef animals and crop farming as well. When Harris was not farming, he loved to spend time with his family. On Thursday, October 27, 2016, Harris passed away at the Sanford USD Medical Center in Sioux Falls, South Dakota at the age of 80. He is survived by his wife Geri Sankey of Chandler; daughter Judy Sankey of Kaiserslaughtern, Germany; sister, Wilhelmina Aardema; brother, Harvey Sankey; and nieces, nephews and cousins. Harris was preceded in death by his parents, two brothers, Bill and Dave Sankey, four sisters, Cornel Aardema, Lavina Kemp, Dorothy Nelson and Johanna Kooiman, and an infant son Roger David.